People who know the local Melbourne summer weather will be unsurprised to hear that while Saturday was a horridly hot and windy day and while Saturday night was stormy, with rain and thunder, Sunday morning dawned still, overcast and cool. After last year, when this meet had to be postponed for a fortnight due to horrendous weather expectations, it was with a sigh of relief that competitors arrived at Fawkner Park in what were just about perfect 50km conditions. The Australian 50km championships kicked off at 7AM, with 4 of the 7 entrants in attendance. Unfortunately, Ivana Renic had been unable to obtain a visa (what!!!!) while Jared Tallent was a DNS, due to a sore toe from a midweek mishap on the homefront. 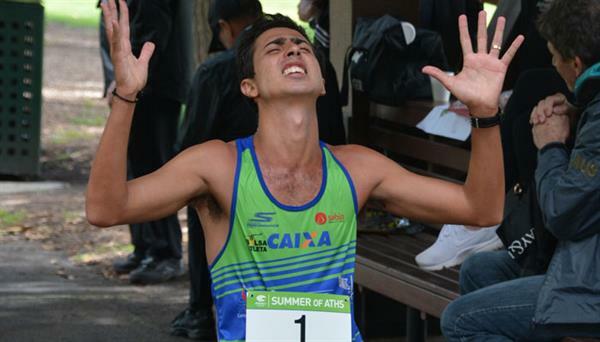 Of those who did start, 3 of the 4 finished the race, with Brazilian record holder Caio Bonfim first to finish in what looked like a very comfortable 3:55:24. Australian women’s record holder Claire Tallentwas next with 4:28:52, after that had been an equally comfortable outing. 45 year old Kelly Ruddicklooked set for around 4:45:00 until cramping badly in the last few laps, eventually struggling home with 4:54:31. But it was still good enough to break the W45 Masters World Record and came only a couple of months after surgery to move her gall bladder, so full marks in my book! The 20km invitational walks started at 8AM, with 12 of the 13 entrants in attendance. The final placings sorted themselves out early, with 2016 Olympian Rhydian Cowley breaking away from Declan Tingay and Tyler Jones after the first 2km lap. From then on, he walked a solo race, winning by over 3 minutes with 1:24:24. 19 year old Declan was next to finish, with a PB 1:28:04, ahead of Tyler with 1:29:27. 2018 Commonwealth Games gold medallist Jemima Montagwas the only female entrant but was able to latch onto Carl Gibbons, with the two working together for most of the race. She went on to finish with 1:35:48, a good performance after just returning from a 3 week altitude camp in Colombia. The U20 10km walkers got underway at 9AM, with 6 of the 7 entrants in attendance. 17 year old Oscar Tebbutt strode confidently to the front and was never headed, winning in a PB time of 44:59. 15 year old Jack McGinniskin was next to finish, with a PB 46:30, making it a good double for NSW. The only other male finisher was 16 year old Victorian Corey Dickson with a PB 46:58. The women’s U20 10km was won by 15 year old Alanna Peart with an inaugural time of 51:02, ahead of 15 year old Queenslander Gabriella Hillwith 57:52. A number of our other top junior walkers did not enter, but we can expect to see full fields in Adelaide in February for the Australian U20 10km roadwalk Championship. The final event was an U18 5km invitational event, but it attracted only 2 competitors. Of them, 17 year old Jemma Peart won with 24:21, ahead of 15 year old Charlotte Hay (her birthday was the day before, so happy birthday Charlotte!) with 25:52. 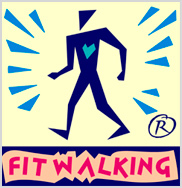 Overall, there were only 2 disqualifications, and I felt that the overall walking standard was very good. A number of the walkers will soon be travelling to Canberra, to spend January at a study/training camp at the Australian Institute of Sport, then we are all off to Adelaide for the Australian Summer Roadwalk Championships on 10thFebruary 2019.